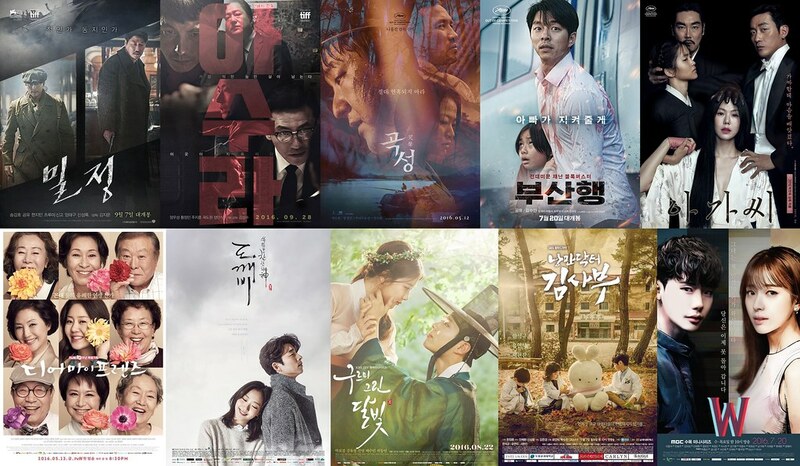 The vicious cycle starts again with 53th Baeksang Art Awards as they recently release the nomination lists. Almost every year I go on a rampage at the results for South Korea’s Award Shows, but I can’t ignore because I am a sucker for seeing stars dressing up prettily on the red carpet. I love seeing biases or drama couples I adore reunite and appear together for their nominated projects. This year’s Baeksang is as highly anticipated as 2014’s when I was infatuated with You Who Came From the Star. Let’s take a look at the nominees for this year. I have chosen my winners in light blue, hehe. If it was a couple years ago, I would probably skip the nomination list for movie section, because I would be completely clueless. I still hadn’t seen many listed below, but at least I know a lot more about them than previous years. I have been gradually watching more Korean movies these days. One may think what’s the big deal? It’s not, but Korean movies have very different tone to Korean dramas, and hence, takes a bit of getting used to or finding them enjoyable. More importantly, Korean movies with subtitles are harder to find online. I have only seen 2 out of the 5, thus render me ineligible to pick. I’m really, REALLY curious about The Wailing, but I’m too chicken to check it out. A horror film competing for Best Picture is something I least expected, but then again, Korea’s award shows can’t be trusted since they reward winners based on profits and ratings rather than acting performance or artistic talents. Gee. Tough competition here; consisting all award winning veterans. Rising movie actors such as Kang Dong Won (Master), Gong Yoo (Train to Busan/Age of Shadows), Jo Jung Suk (Hyung) or Jo In Sung (The King) stand no chance at all, particularly Gong Yoo. The man did two movies, and still didn’t get in. I am disappointed for him since I thought he had an outstanding performance in Age of Shadows. I hope he attend the ceremony anyway. I am also surprise veteran actor Hwang Jung Min (The Wailing) isn’t nominated. By the way, does Song Kang Ho ever not get nominated every year in this category??? I can’t pick a winner for this category. I don’t think Lee Byung Hun and Song Kang Ho were impressive enough, and the other 3 I hadn’t watched. I have very little to say about these nominees too, because most movies I have watched are very male-oriented. I saw Goodbye Single, but I wouldn’t nominate or give Kim Hye Soo a Baeksang for this role. Even the supporting actor category is tough for the boys. Out of the 5, I think Ma Dong Seok and Uhm Tae Goo are least likely to grab a Baeksang. My vote is on Jo Jin Woong, although I haven’t watched The Handmaiden. HAHAHA. I honestly had no idea why Kim So Jin is nominated at all; she didn’t have a huge part in The King! I adore Ra Mi Ran so here’s to putting a 100 bill on her winning. Please let uri Cheetah Omma win. Ugh, this one is tough too. If I am biased, I would hand it to Ji Chang Wook, LMAO. And for the love of god, Woo Do Hwan should not win, because he was barely on screen in Master. I can’t judge Han Jae Young‘s acting performance because I haven’t seen New Trial. I don’t think Ryu Jun Yeol‘s performance can be considered a breakthrough in The King, so that leaves EXO’s D.O. Do Kyung Soo and Ji Chang Wook for me. Chang Wook had a few scenes which he did really well, but on a whole and his character, I didn’t think it would be an award winning role. But, I’m happy anyway if he wins his first movie trophy. He had better look SUPER HANDSOME with his fringe combed up that night!!! I have no pick for this category because I hadn’t seen any of these movies. Ahhh we finally reach the drama section. Now I am in the comfort zone, and most probably will spew word vomit. Consider y’all warned. I am stumped. Apart from Dear My Friends which I haven’t seen, I enjoyed the other 4 and think highly of them. But if I have to pick out of the 4 and judge them in terms of directing, script, cinematography and sound etc.—then it would be Goblin or W. Goblin wins my vote because W screwed up for the latter half. Again, Goblin. Those who have seen this drama will understand why. Gotta thank CJ E&M for investing their big bucks into this project. I have difficulty deciding between Park Hae Young and Song Jae Jung. 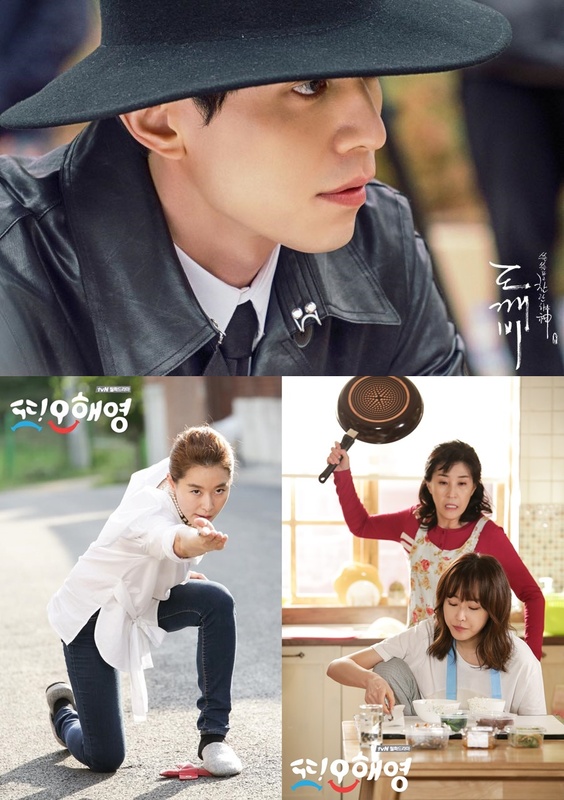 Ultimately, I think Song Jae Jung delivered an extremely refreshing and unique script to Dramaland. It unfortunately wasn’t executed very well on-screen, but I think she should at least be recognised for innovative ideas and thinking outside the box. I did wonder if W had the money, time and production team Goblin had, the quality might be of the scale of Inception. On the other hand, Kim Eun Sook should stop getting nominated for Best Script because she’s one of my least favourite scriptwriters. True that I love Goblin, but no way she’s the main reason why I adore the show. I am in immerse dilemma for this category. I always see best acting award as rewarding an actor who has a breakthrough performance for his/her role, and most of these actors have breakthrough performance in their respective dramas! But I will be blunt, I don’t want Park Bo Gum to win, at least not with the role of Lee Yeong. It is already an honour to be nominated alongside the veterans, but to win at this stage would be burdensome. For other nominees, they were acting against or alongside fellow veterans whose acting are just as good; not only they take centre stage firmly and shine brightly, but they were never overshadowed by others. In comparison to Bo Gum versus fellow actors his age in Moonlight Drawn by Clouds, their acting chops were not on par with Bo Gum’s. Naturally, he should stand out the most. I understand why he is chosen, and I acknowledge his hard work and outstanding performance for his first sageuk, but I also see that there were rooms for improvement. Had he been nominated for roles from I Remember You or Answer Me 1988 — performances where he stole the spotlight and attention from veteran actors — I think I’d have felt more comfortable of this nomination. His performance in Moonlight Drawn by Clouds can’t be overlooked, and he did carry the show through to the end, but I genuinely believe other actors in this category should receive it first—particularly Jo Jung Suk, Namgoong Min and Gong Yoo. How I wish he had won Best New Actor in movie section first! Sigh. I have said it on Twitter; I will say it again. I will be awfully pissed if neither #1 Seo Hyun Jin, #2 Kim Go Eun nor #3 Park Bo Young got it. Seo Hyun Jin must win this, because no one in this list is as sensational as her in Oh Hae Young Again. Kim Go Eun comes second on my should-win-list and then Park Bo Young. I’m not sure why Bo Young is nominated for Strong Woman Do Bong Soon; she’s a great actress, but I don’t think this is a winning role. Kim So Hyun should have been nominated for her role in The Page Turner in place of Park Shin Hye. If we judge from profit and rating, I understand why Shin Hye is in this list, but in terms of acting, she is still far from the Top 3. I genuinely am surprised with Kim Min Jae‘s nomination for Romantic Doctor because I thought he stood out more in Goblin. Minus Gong Myung from Drinking Solo because I didn’t watch this drama, I think breakthrough performance comes from Jin Young. He really impressed me in Moonlight Drawn by Clouds. Pwahaha, I’ve only seen Moon Lovers in this category, and I hated that character so I suppose Kang Ha Na did a fabulous job. I don’t know if the little girl from Legends of the Blue Sea and Defendant had been nominated or won a Baeksang before, but I thought she well deserved a mention for leaving a strong impression on me. Hold on a second, why aren’t there categories for Best Supporting Actor and Actress in the Drama Section? I totally think Lee Dong Wook deserve a Best Supporting Actor nomination / award for Goblin. Kim Mi Kyung and Ye Ji Won from Oh Hae Young Again also deserve a nomination for Best Supporting Actress. 53th Baeksang Arts Awards will take place May 3. Sigh…. I’m kinda torn. One side, I do agree with what you said that getting a Baeksang for Best Actor at this stage would be burdensome, and I want him to explore more roles before getting a well-deserved Baeksang for his acting. On the other side… me no want to see him go home empty hand. Which… I think… won’t happen. Seeing how he is maintaining his No.1 spot in Popularity category (at the moment 41.49%) .. which is far ahead of the nearest competitor, I believe there is at least one moment when we will be seeing him delivering Thank yous on the stage. Dun forget to pocket a tissue, boy. Seeing the list, tho.. 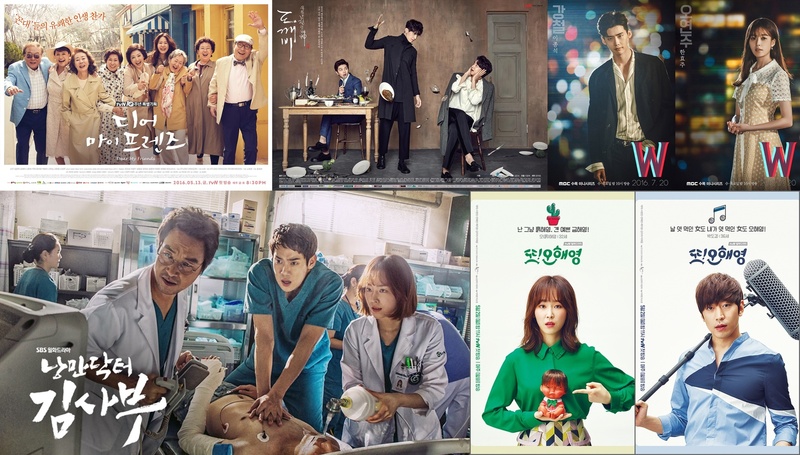 I suddenly realise that I’ve watched a veeeeeery few dramas this year. Oh yeah, I forgot about Popularity Awards. I hope you guys aren’t spending money voting since he doesn’t like fans spending money on him. My attempt to support him through votes ended when I learned that the App requires you to pay to vote. So… I just had it installed and that’s it. At least I can monitor his rank though I can’t vote him. I’ve watched “The Wailing” and yes, it’s kinda creepy~ I do love horror & thriller films… But it kinda creep me out a bit… So if you wanna try it, better watch it with someone! 🙂 And I agree, Lee Dong Wook deserves to be nominated as a best supporting role! On a scale of 5, how scary is it? I most definitely won’t watch it at night. Does it deserve a Best Picture nomination? Creepy I can handle; it’s scary that I most worried about. Yes for Train to Busan because it’s what everyone was raving about and easiest to find subs. I also saw Age of Shadows. I thought of checking out Asura because of the well-known ensemble casts. Yey, I am happy for that nominee for JiChangwook as rookie actor, I believe he is incredible in Fabricated City and he deserves the award if ever he wins. Happy for PARK BOGUM to be nominated as the best actor! it is known about some hardships the actor overcame while filming at the start. But he did it! If Park Bo Gum had to perform Lee Yeong again surely he would play much more perfect somewhere in episodes. Bo Gum is talented, hardworking and gorgeous actor who is constantly looking for perfect express of the character emotions and feelings and does all his best to succeed. his part as Lee Yeong is more deserving than any other expected veteran actors considering Bogum young age and huge efforts putting in filming and everything he does. being among veteran nominees proves him to be outstanding bright pro! His nomination shouldnt be underestimated or belittled only due to his youth and potential.it must be accepted that Bo Gum is brilliant at drama! Biases: What Are They Up To Now? Eukybear ♥ Dramas by Eukybear is licensed under a Creative Commons Attribution-NonCommercial-NoDerivatives 4.0 International License.